If you are planning to upgrade your IBM i, depending on how you upgrade, you may need to re-apply your host based license keys after the upgrade. Although unlikely, the upgrade may reset your license keys, so it's wise to have your license keys handy as a precautionary measure so they can be re-applied if necessary. If the machine CPU Serial number is identical then no additional licenses are required as the keys previously issued can be re-applied to the new machine. If, however, the CPU serial number is different, new keys will need to be applied. To obtain new keys you will need to provide the details of your new IBM i machine and a request for a transfer of license to licenses@looksoftware.com. Provided you have a current maintenance contract, license keys for the new machine will be provided free of charge. 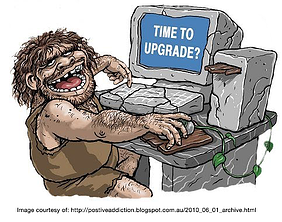 If your maintenance is up to date, there is no charge involved to upgrade to our current version. In order to upgrade, you will need license keys for new version. For the purpose of testing, you may wish to request temporary license keys by sending an email to our License team at licenses@looksoftware.com. The next step is to download the latest version from the Downloads page within the Customer Area of our website. We suggest that you install the new version into a different folder from the folder your current version is installed in and take the time to familiarize yourself with the new version. The information in Help | What’s New in the IDE menu will outline any significant new features. Depending on which version you are upgrading from, your SID files may need to be converted. If you are upgrading from newlook version 7 and above no conversion is required. This means you can simply use your existing SID file with the newer version. Run through your solution files in the new version. If you find any differences please notify us by sending an email (with screen captures of the differences if possible) to support@looksoftware.com. When you are ready to upgrade all your business users, fill in the Transfer/Upgrade of License form and send it to license@looksoftware.com to obtain permanent licenses for the new version. Please note: That it is looksoftware policy to support the current version and the immediately preceding version. Customers may decide to continue to use earlier versions of our product however no product changes will be made for earlier versions. All currently supported versions can be found at the Downloads page in the Customer Area of our website.